The fun at Dog Beach in Del Mar has to be the equivalent of a canine Disneyland. Even if you don’t own a dog, or can’t borrow one for the day, it’s worth a trip to Dog Beach to see the dogs bark gleefully, play fetch, romp with one another and splash in the waves. The happy look on their keepers is also a treat. Del Mar (and San Diego as well) has long been known as a dog friendly city and the North Beach area, also known as Dog Beach, is the most popular beach for pooches. It stretches for almost a half mile north of 29th Street and stretches all the way to the Solana Beach Border at Via De La Valle. It also includes the mouth of the San Dieguito River and a section of coastal bluffs. 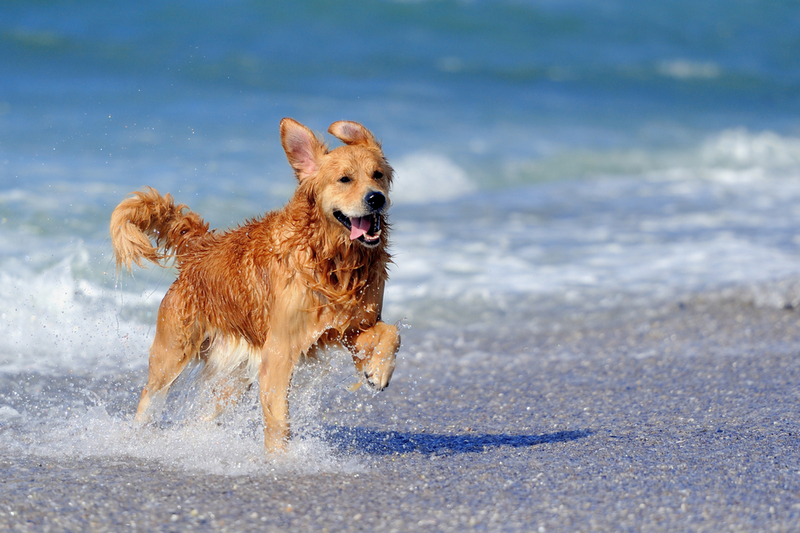 Winter months are especially nice for dogs in that they can romp freely on the beach–as long as they are under voice control of their owners. However, during summer months from June 16 through Labor Day and when tourism is heavy, canines must be confined to a six-foot leash. Owners, of course, are always obligated to pick up any dog droppings. But that’s just plain good manners! Dear real estate clients and friends who live in La Costa Valley love to take their pooches to Dog Beach. Yesterday with San Diego’s blue skies, balmy weather and the wide sandy beach at Dog Beach calling, decided to take Hinsley and Rudy for an afternoon on the sand. She also shared this video with me. It is hard not to smile when you see so many dogs having so much fun! San Diego Mortgage Rates to Spike in 2013? Election Year Not Best Time to Sell Home?